Picture of Hatherley School slightly blurred but I believe 1907. My mother Edith Tranter b. 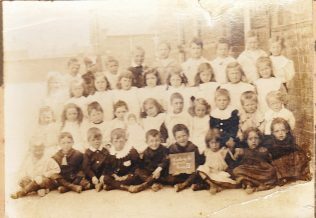 10th April 1900 is 2nd from left 2nd row.